In the 1870s, Western tourists flocked to Japan in vast numbers, eager to experience a country that had only recently opened up to visitors. 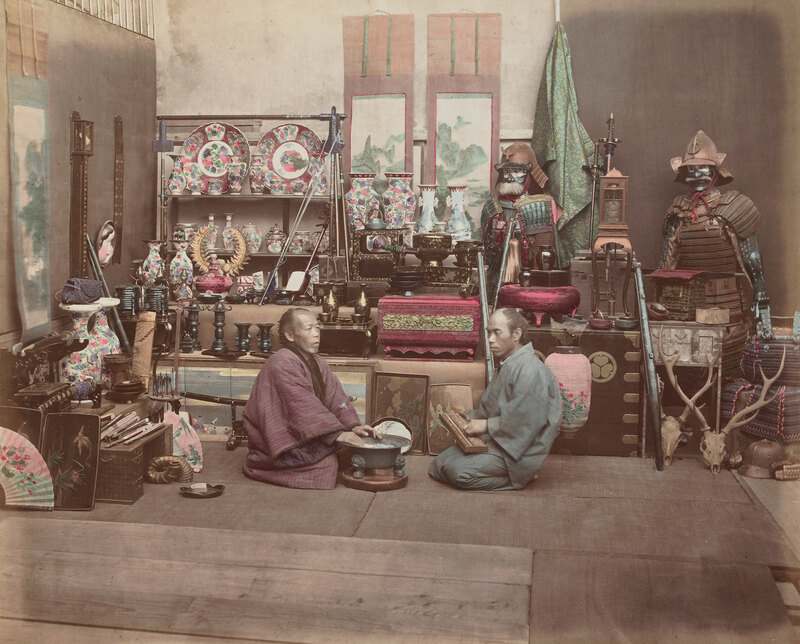 During their stay these globetrotters purchased all manner of souvenirs, including photographic albums of traditional Japanese subjects and popular sites. 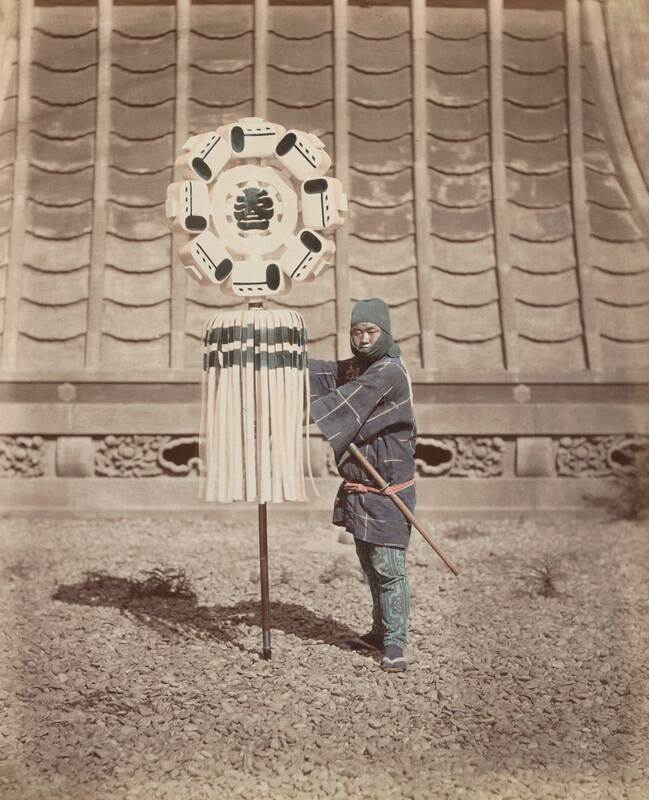 Samurai, geisha, performers and street vendors featured prominently in these photographs, which were staged in such a way that they projected an image of Japanese society as inherently artistic and harmonious. Numerous Western- and Japanese-managed studios opened in the bustling port of Yokohama, just south of Tokyo, to cater for the seemingly inexhaustible demand for such mementos. 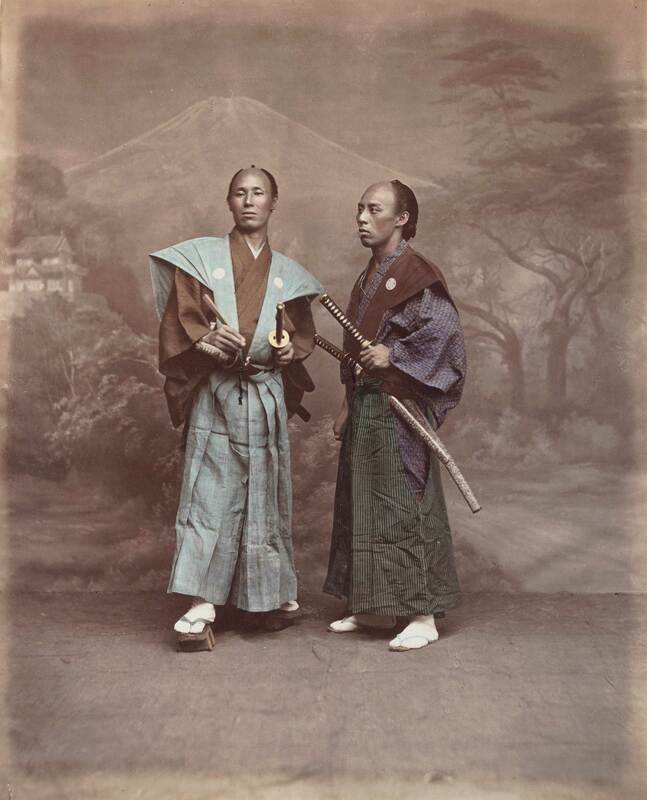 One photographer from this time, Baron Raimund von Stillfried, an Austrian aristocrat, played a crucial role in fashioning Japan’s international image. Like many Western photographers, he travelled to Yokohama in the 1860s in search of new commercial opportunities and subjects for his camera. 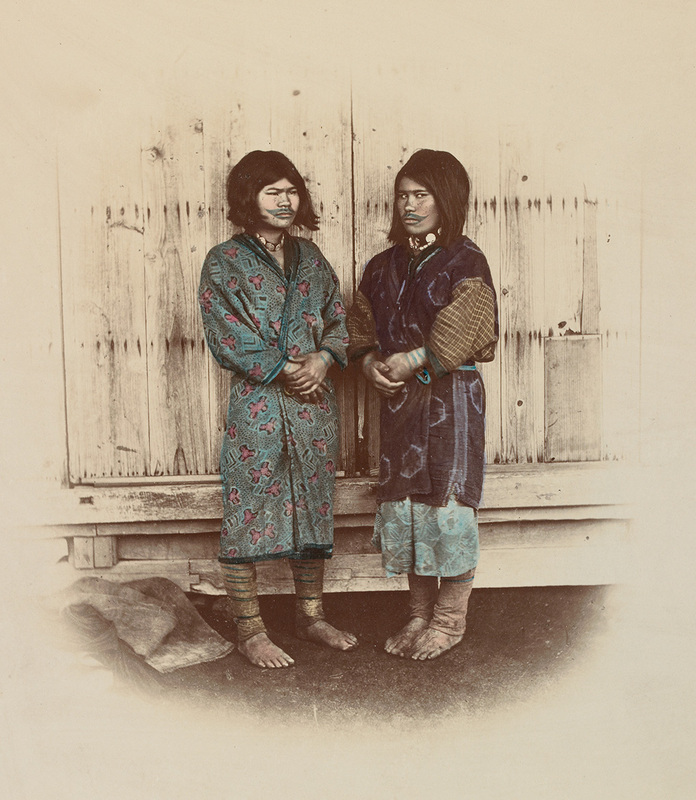 His photographs portrayed Japanese society as unspoilt by the modern world, despite the rapid economic and social changes then occurring within the country, and his beautifully produced albums – carefully hand-coloured by Japanese artists and bound in leather with gilt-edged leaves – were popular with well-heeled tourists as keepsakes of their visit. Stillfried was technically and aesthetically better than his competitors, and his international outlook and ambition helped transform a small, provincial trade in such photographs into a global export industry. At its height his studio, grandly named the Japan Photographic Association, had 39 Japanese assistants, some of whom would eventually open studios that would rival that of their former employer, much to his annoyance. 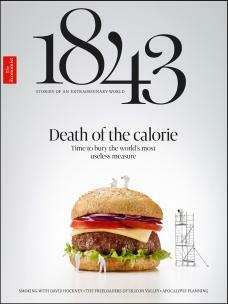 In the end, Stillfried’s inability to adapt to an increasingly competitive market led to the demise of his business in the late 1870s, and it is both a measure of his extraordinary success and the commercial stakes of the industry that the rights to his name became the subject of bitter court cases with his former business associates. Whatever the docile, contented world of his photographs, his Japan was one of fierce competition and increasing exchange with the outside world. 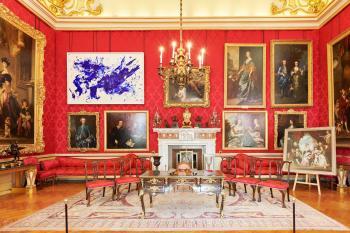 Today, Stillfried’s photographs are dispersed in various public archives and private collections around the world. In many cases they remain unattributed and forgotten – though some can be seen at an exhibition of photographs collected by Andrew Carnegie currently on show at his Birthplace Museum in Fife, Scotland (until August 3rd). The six photographs selected here, from an album in the State Library of Victoria, Melbourne, were taken in 1875, when Stillfried’s career was at its peak. They show the Japanese as noble, ordered members of an ideal society – which appealed to Western visitors keen to get away from the workers’ strikes and popular uprisings occurring in their own homelands. 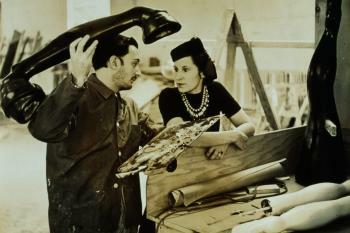 This portrait exemplifies Stillfried’s careful production process, from the grooming and presentation of the sitter to the application of watercolours to the print. Unlike other photographers, Stillfried appears to have maintained strict standards, for there is little variation in the colours applied to different prints of his photographs. Stillfried’s title for this image – “Young Lady” – is also representative of the fine gradations in age, gender and class that foreign viewers were invited to recognise in the facial features, bearing and clothes of the models. In his youth in Trieste, Stillfried had been taught oil painting in the studio of Bernhard Fiedler, a Prussian artist, and the lessons of this academic training are evident in this scene. Each model is arranged in a distinct pose on either side of the tall figure in the centre who has been placed in front of the doorway. 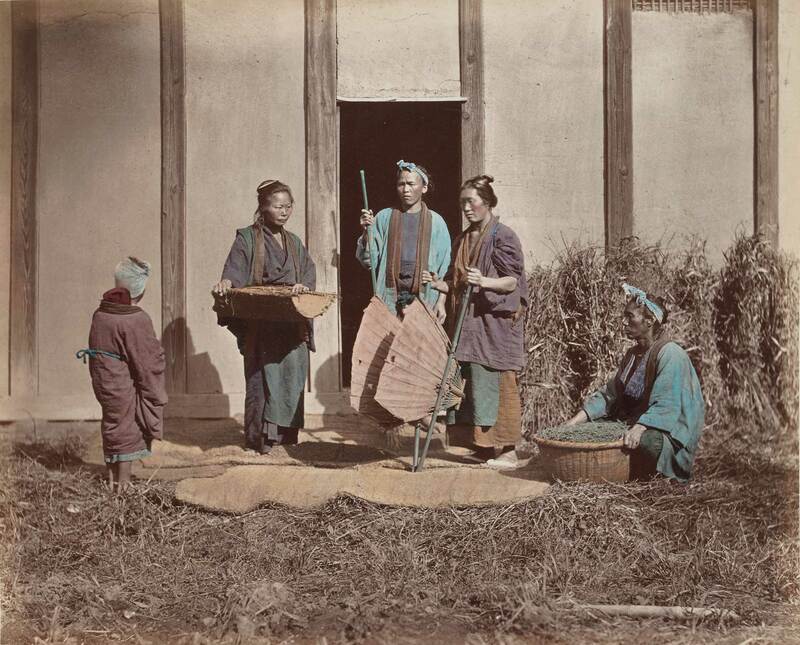 The models are holding the traditional tools used to harvest and thresh rice, but the photograph’s ethnographic function does not detract from the artistry of Stillfried’s triangular composition. Stillfried often made use of elaborate painted backdrops in his work, in this case a fanciful landscape of Mount Fuji. 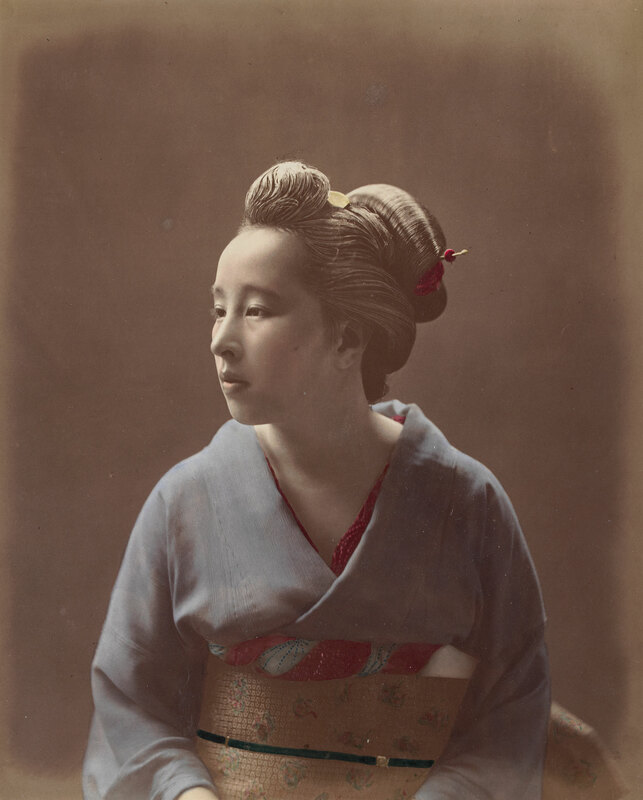 Though photographs like this were sold to Western customers as if they were authentically Japanese, they show how international the business was, with painted backgrounds shipped from the other side of the world (this one came from Vienna) and Japanese artists employed to hand-colour the resulting photographs. The subjects of this image are paid models: we know that not only because they appear in other studio photographs, but also because the government had abolished the samurai class and banned the wearing of swords in public. The creases on the clothes suggest that the models had put the outfits on for the photo. Well-heeled visitors did a lot of souvenir-shopping. Elizah Scidmore, an American tourist, declared on her visit to Yokohama: “the shops open their arms to you...their wares lie invitingly exposed to the public, seemingly to you already half your own.” With its display of samurai armour, lacquer trays, bronzeware, ceramics and hanging scroll paintings, Stillfried’s photograph commemorates not only the pleasures of curio shopping but also the expanded operations of his own business. 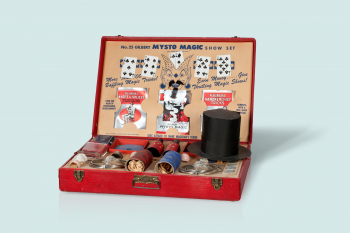 He sold curios on the side and made use of them as props in his photographs, arranging his merchandise to mimic the plethora of goods that confronted foreign tourists in the city’s shopping districts. This photograph may look like a straightforward depiction of a firefighter dressed in protective garments and holding the banner of his brigade, but the subject has particular relevance for commercial photographers, who worked with highly flammable chemicals in the congested, largely wooden cities of Japan. Fire was an ever-present danger and photography studios were often destroyed. Sometimes they were the source of an outbreak. One of Stillfried’s properties in Yokohama burnt to the ground before he took this photograph, which can be viewed as a personal tribute to the bravery of the firefighters. In 1881 Stillfried left Japan for ever. 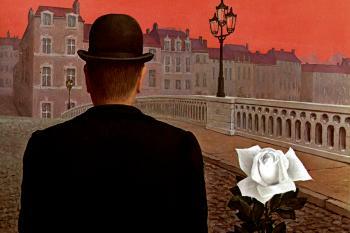 After visits to Vladivostock, Hong Kong and Bangkok, he eventually settled in Vienna in 1883. 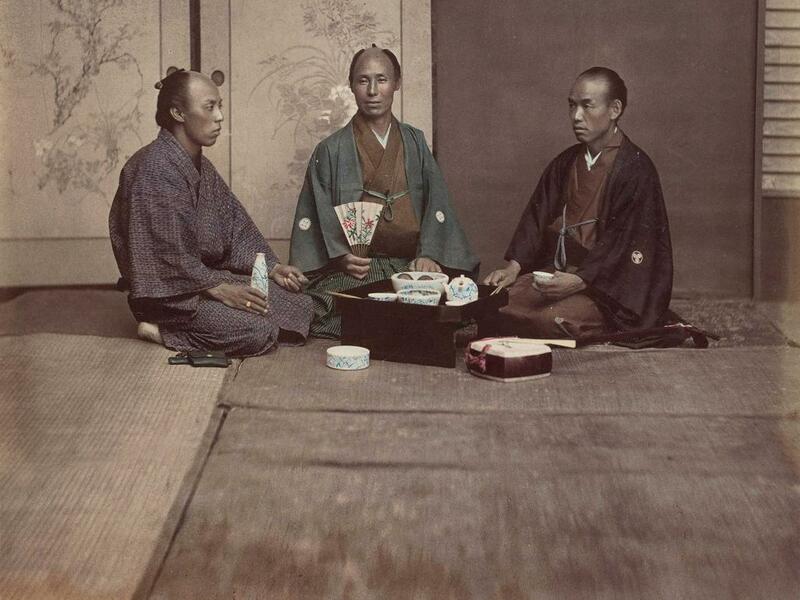 He continued to work as a photographer, artist and art restorer until his death in 1911, but he remains best known today for his contribution to the Western image of Japan as a tranquil society of demure geisha, noble samurai and picturesque labourers.